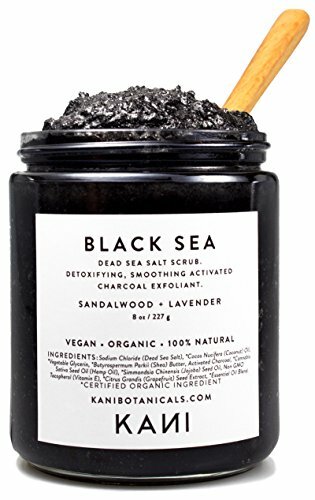 Why we love it: Detoxify, smooth and exfoliate with this Charcoal and Sea Salt body scrub. Activated Charcoal provides a deep, purifying cleanse while Dead Sea Salt sloughs away dull, dry and rough patches. Hemp Oil and Jojoba Seed Oil rehydrate and soften the skin for a healthier, smoother surface. Can be used 3-5 times per week for best results. - All Natural + Organic Ingredients - Paraben free, Sulfate free - Cruelty free, Vegan - All of Kani's oils are cold-pressed or steam distilled, which are the best extraction methods available and lead to premium quality oils. All products are made in small batches in the USA.